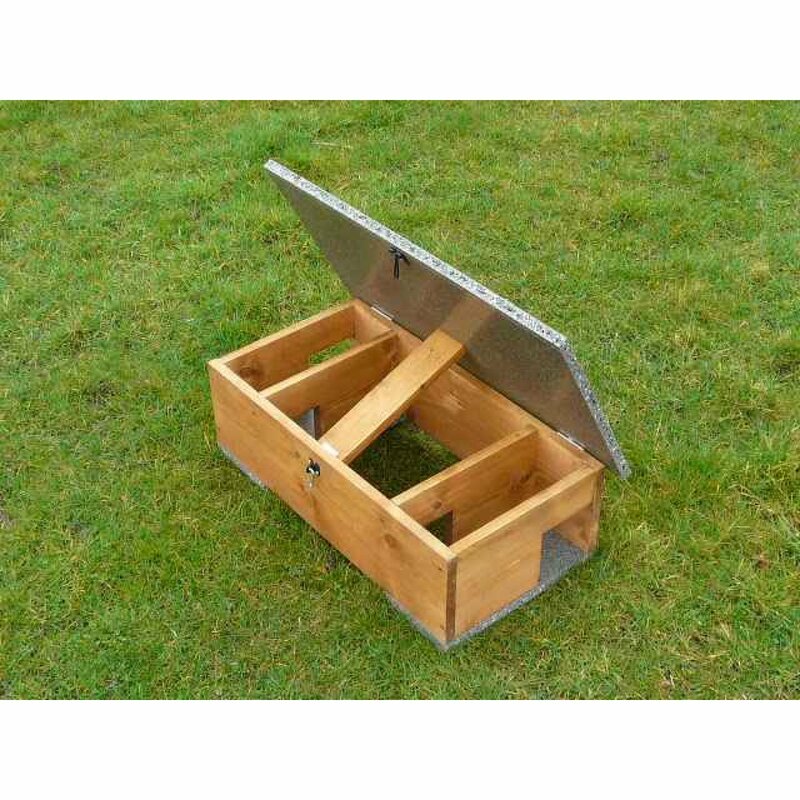 We've produced an eco friendly version of one of our more popular Hedgehog Feeding Stations. 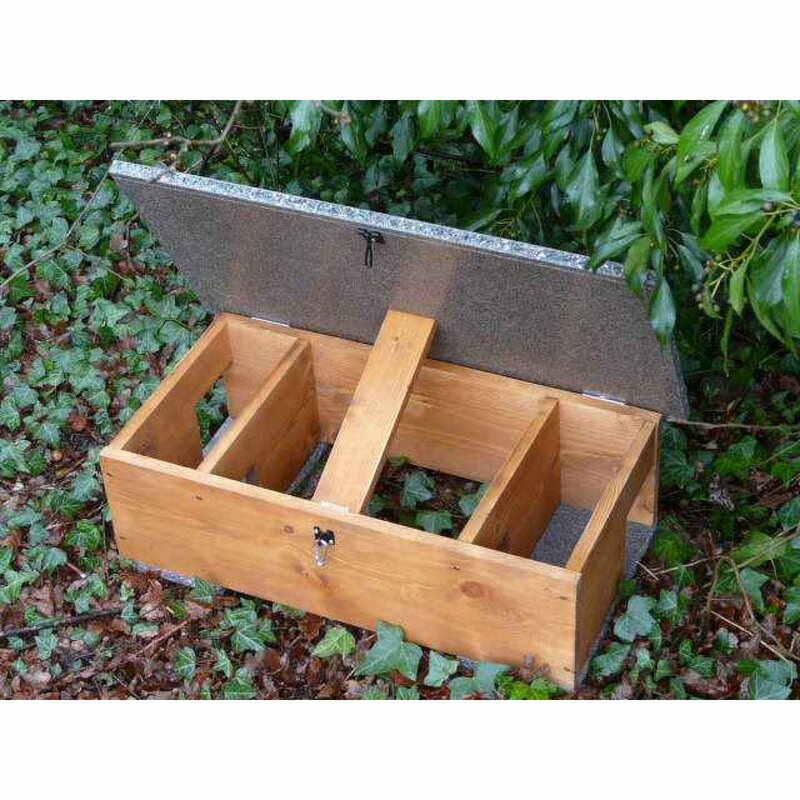 This is a purpose designed feeding station into which we've added some innovative features to help keep the food dry, the hedgehog safe, and to minimise the chances of food being stolen by other unwanted animals. Can this be staked down ? I have trail cam footage of a fox flipping our current feeder over and eating the hedgehog food.. I have four next door cats who have been used to crawling down tunnels and twisting round u bends and manoevering around bamboo sticks placed in front of hog feeder enterance. They reallly are the nijay food stealers of the hedgehog world. Can you guarantee me cats can't get in? Iwill happily pay £47 if it foils the cats, Can I return it for a refund if they can get in? I have a trail camera for evidence. If next doors cats can't get in then no cat can. You can use my quote as advertising. How quickly could you send one of these out to me? My current feeding station broke this morning (not one of yours) and I'm struggling with a dodgy plastic box right now! We have a LOT of hedgehogs, but we get foxes and other predators too, so I don't like just leaving food out! I will eventually want to replace my other feeding station too, but thankfully that won't be an emergency! I hope!! 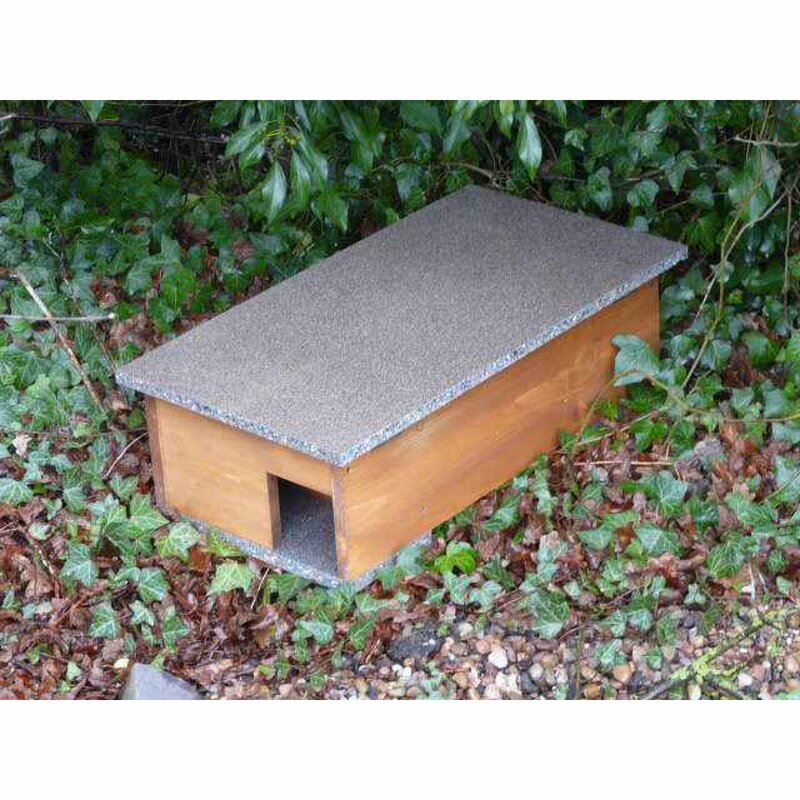 I have two hedgehog houses which are being used. I purchased a feeding station from you and within a couple of weeks a hedgehog moved into it. Should I just leave it in there now? I would worry about trying to move the hedgehog somewhere else in case it was a mother to be. Unfortunately wildlife never read the signs!